Torino were unable to make it two wins in a week as they were denied by a late Fiorentina equaliser in a 1-1 draw on Sunday afternoon. Giampiero Ventura made only one change from the side that beat Cagliari on Wednesday, as Jean Francois Gillet replaced Daniele Padelli who made a costly mistake in that game. Torino almost took the lead in sensational fashion as Fabio Quagliarella almost had another goal to had to his lengthy highlight reel, but his strike from fully forty yards was tipped over the bar by Neto. At the other end, Jean Francois Gillet made an excellent save to deny Khouma Babacar from Borja Valero's outstanding assist. Excellent work from Omar El Kaddouri almost gave Juan Sanchez Mino the opportunity to score his first goal for Toro, but his shot went wide. Just before half time Neto denied Quagliarella once again as he made a brilliant fingertip save to deny the Italian international. In the second half, the former Juventus striker turned provider as he played in Matteo Darmian, but the full back's effort was way off target. However, Toro finally made the break though when the impressive Bruno Peres found Fabio Quagliarella who took his time before finding the bottom corner. However, Toro were unable to hold on to the lead and with ten minutes remaining substitute Federico Bernardeschi found Babacar with a exquisite pass and the striker calmly rounded Gillet to score his first Serie A goal in 1653 days. Neither side were able to find a winning goal, and whilst Toro will be disappointed by their inability to hold on to their lead, their performances continue to get better. After scoring their first league goals of the season in the win at Cagliari on Wednesday, Toro will be looking for a first home victory on Sunday afternoon against Fiorentina. Daniele Padelli has paid the price for his mistake against Cagliari, and doesn't even make the Toro squad for this game, therefore Belgian stopper Jean-Francois Gillet is expected to start. Bruno Peres impressed many in midweek so will also be expected to retain his place, whilst Giampiero Ventura may be tempted to bring Amauri back into the starting eleven. Opponents Fiorentina have also struggled for goals this season, and have only found the target once in their four matches so far - although this was enough to earn a victory against Atalanta last weekend. Torino will make the trip to Sardinia on Wednesday evening looking to pick up their first victory of the season when they face Cagliari. As the Granata have not scored a league goal all season, Giampiero Ventura may be tempted in giving Marcelo Larrondo or Josef Martinez a start up front. Like Toro, Cagliari have also not won a game so far this season having lost against Atalanta and Roma and drawing on the opening day against Sassuolo. Torino's quest for a first win and goal of the season as they fell to a disappointing 1-0 home defeat against Hellas Verona on Sunday evening. As expected, first choice back three Cesare Bovo, Kamil Glik and Emiliano Moretti returned to the starting eleven, and for the second game in succession the front two were Fabio Quagliarella and Amauri. It was the away side who came closest in the opening exchanges, as first former Toro man Panagiotis Tachtsidis put a free header wide of the post and then Juanito Gomez hit the post from an almost identical position. Toro finally woke up and it was centre back Cesare Bovo who came closest for the home side, but his drilled effort went wide of the post. The Granata had a much better start to the second half, with Emiliano Moretti and Amauri both going close when well placed. Fabio Quagliarella came narrowly close to scoring his first league goal of the season but his long range effort was parried by Rafael and then thirty seconds later his header glanced wide of the post. Hellas took the lead against the run of play when only three minutes after coming on, substitute Artur Ionita cut in from the right wing and his shot bounced over the arms of Daniele Padelli. 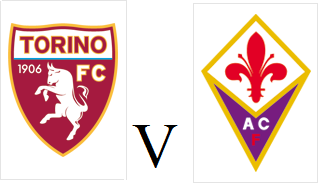 With only two minutes remaining, Torino had a great chance to equalise as debutant Bruno Peres was upended in the area by Rafael Marquez, but Omar El Kaddouri missed the resulting penalty, and also the rebound. Whilst the performance was much more promising than last weekend against Sampdoria, the result was the same as Toro lost their second game of the season, and have yet to score a league goal in three matches. Torino return to Serie A action on Sunday evening as they face Hellas Verona at the Stadio Olimpico and are still looking for their first league goal of the season. Antonio Nocerino will be out for around six weeks after picking up an injury against Club Brugge in midweek, so Toro will be without one of their key midfield players. After playing ninety minutes against Brugge on Thursday, Amauri may not be able to play twice in three days so Venezuelan striker Josef Martinez or Marcelo Larrondo could be in line to replace him. Opponents Hellas have four points from their first two games of the season, after coming from behind to beat Palermo last weekend. 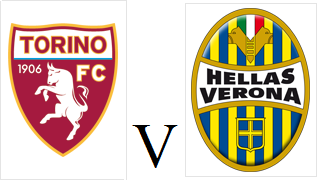 Last season, both games against Hellas were entertaining affairs, with the teams drawing 2-2 at the Stadio Olimpico and then Toro were impressive 3-1 victors in Verona. Torino earnt their first point of their Europa League campaign after a 0-0 draw against Club Brugge on Thursday night, but the Granata have now gone three games without scoring a goal. Giampiero Ventura rotated his squad for this game, as Jean Francois Gillet made his first appearance following his long ban, whilst Pontus Jansson and Gaston Silva came into the back three to make their first starts for the club. Alessandro Gazzi, Juan Sanchez Mino and Marco Benassi also started the game, whilst Amauri and Fabio Quagliarella led the line up front. Toro started the brightest in the opening twenty minutes, but Pontus Jansson had their only half chance as he headed over the bar following a corner. Belgian keeper Gillet was forced into action on the half hour mark as he had to react quickly to deny Víctor Vázquez from just inside the area. A poor backpass from debutant Gaston Silva gave Colombian José Izquierdo a chance to score, but he curled his shot over the bar from distance. In the second half, Argentine midfielder Juan Sanchez Mino came close to giving Toro the lead but his shot went narrowly wide of the far post. Toro were once again thankful to Gillet as he pulled off an outstanding save to deny Nikola Storm's header. In the dying seconds, Toro substitute Josef Martinez had a chance to win all three points, but his shot was blocked by a Brugge defence that had been resolute all game. 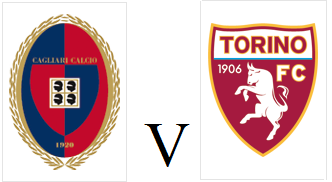 This was a decent point for Torino in their opening match of the group against one of the better teams in the group, however the fact Toro have failed to score from open play since beating Brommapojkarna in early August continues to be a worry. To see videos and photos from my trip to Bruges feel free to visit the newly created Torino FC Inglese.com Facebook page here. Torino have made the short trip across Europe to the picturesque city of Bruges to face Club Brugge in their first ever Europa League group stage tie. Giampiero Ventura has stated pre-match that he believes the Belgian team to be the strongest in the group, but despite this, fringe players such as Juan Sanchez Mino and Josef Martinez may be given opportunities to impress. Club Brugge defeated Swiss side Grasshoppers Zurich in impressive fashion to reach the group stage, whilst the Granata laboured to a victory against RNK Split. 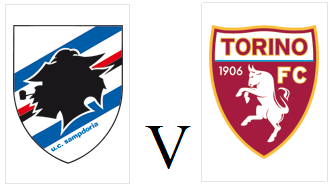 Torino lost their first game of the season on Sunday afternoon after a disappointing 2-0 defeat against Sampdoria. Giampiero Ventura decided to leave new signing Amauri on the bench, whilst Matteo Darmian missed out due to a slight injury. An uneventful first half was livened up ten minutes before half time when Manolo Gabbiadini fired a free kick past Daniele Padelli from just outside the area. The Granata improved in the second half, and felt they could have had a penalty when Fabio Quagliarella was fouled in the area, but the referee waved away any appeals and Omar El Kaddouri was booked for dissent. Gabbiadini almost scored another free kick but this time hit the crossbar, but with ten minutes remaining an individual effort from Stefano Okaka where he ran from the halfway line before finishing well put the result beyond any doubt. The result was extremely disappointing for the Granata, and if they are to emulate last season's top half finish, performances like this one will have to be few and far between. When Alessio Cerci signed for Torino two seasons ago, his arrival was marked by jubilant scenes from Toro supporters, with hundreds waiting at the training ground to greet their new arrival. It is easy to forget now, but before his move to the Granata, there were major concerns over Cerci's attitude due to a number of incidents that marred his spell at Fiorentina. The story about telling a police officer that he would move his car, that had been parked illegally, (but only after he had finished his meal) is well known, but on the field the red card he received for literally kicking Martin Caceres up the arse in a match against Juventus meant his days were always numbered at the Viola. The opportunity to re-unite with former coach and father figure Giampiero Ventura was too good to turn down for the man affectionately known as 'Winston' and in August 2012 he signed for Torino on a co-ownership deal. For the Granata, this was their one marquee signing ahead of their return to the Italian top flight, whilst for Cerci, this was one final opportunity to fulfil the potential that had been obvious since making his debut as a sixteen year old at Roma. In his first season at Toro, Cerci made a positive contribution with eight goals and eight assists as the Granata narrowly avoided relegation. The former Roma man also received international recognition and was called up to Italy's Confederations cup squad that summer, despite only making his azzurri debut a few months previously. However, it was in his second season with the club that the 'Henry of Valmontone' really showed what he was capable of. With coach Giampiero Ventura switching to a 3-5-2 formation, Cerci was moved from his favoured position on the right wing to become a striker. Despite a slow start, Ventura's decision paid off as Cerci formed a formidable strike partnership with Ciro Immobile (who would also later go on to represent his country). 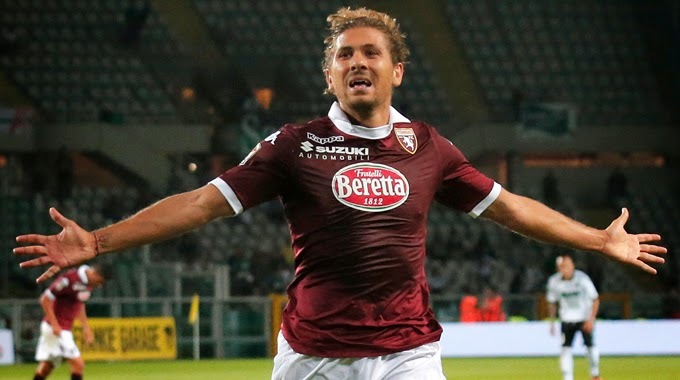 Towards the end of the season, with Toro fighting for a Europa League spot, Cerci had his most memorable moment in a Torino shirt by scoring an injury time winner against Genoa only seconds after Immobile had equalised. In the final game of the 2013-14 season, Toro needed to beat Cerci's former club Fiorentina in order to guarantee qualification for Europe for the first time in 20 years. Torino's number eleven was instrumental in helping the Granata come from behind on two occasions, and with the score level at 2-2, Toro were awarded a penalty in injury time and the script was written for Cerci to make himself a legend. However, the unthinkable happened. Fiorentina goalkeeper Antonio Rosati saved his penalty and the game finished 2-2. At the final whistle, Cerci was inconsolable as he fell to the turf and (like many of the supporters) was unable to hold back the tears. Then incredibly, the Toro fans began to sing his name, despite thinking their chances of European football were now over, they were grateful for what he had done for their club over the past two seasons and knew that without his goals and assists they would have had no chance of returning to European football. However, this story took another dramatic twist after it was revealed that sixth placed Parma had failed to pay their tax bill and were excluded from competing in European competition by the Italian FA. That meant that it was seventh placed Torino who, in rather exceptional circumstances, had qualified for the Europa League. Perhaps naively, I honestly believe that had Toro not received this reprieve then Alessio Cerci may have chosen to stay for at least one more season to make amends for his missed penalty, and to repay the fans who had supported him in arguably the most difficult moment of his career. However in hindsight, that missed penalty is now irrelevant, and this summer Cerci asked to be given the opportunity to leave the club. This was granted on the final day of the transfer window as he completed a move to Spanish champions Athletico Madrid. Whilst as a Torino supporter, I am disappointed that Alessio has left the club, I personally do not begrudge him for leaving, as I understand that the career of a professional footballer is extremely short, and the chance to test himself in the Champions League may not come around again. The Granata's decision to replace Cerci with Amauri has already come under much criticism, but that is another discussion for another day. But thank you for the memories Alessio, thank you very much! Torino earnt a deserved point on the opening day of the Serie A season on Sunday evening, but were left to rue Marcelo Larrondo' first half penalty miss. The Granata lined up in the usual 3-5-2 formation, with the surprise name in the starting line up being that of Alessandro Gazzi, who had been linked with a move away from the club. Toro were given an excellent opportunity to take the lead in only the 20th minute of the game, when debutant Nemanja Vidic was harshly penalised for a shirt tug on Fabio Quagliarella in the area. Despite the fact that Quagliarella and Omar El Kaddouri have converted spot kicks this season, it was Marcelo Larrondo who stepped up and the Argentine saw his penalty saved by Samir Handanovic. Inter struggled to create chances in the opening half, although Andrea Ranocchia should have done better with a header from a corner. In the second half, Larrondo almost made amends for his missed penalty when his knockdown found Quagliarella, but the veteran striker's shot went narrowly wide of the post. Substitute Daniel Osvaldo was a goal for his new club after his shot was well saved by Daniele Padelli, and Toro were thankful for Alessandro Gazzi's sensational last ditch tackle to deny Gary Medel from converting the rebound. With only seconds remaining, Inter's Nemanja Vidic was shown a controversial red card for sarcastically applauding referee Daniele Doveri, however both sides had to settle for a point.